Having a New York State Driver’s License is a privilege that you are afforded. As with any license in New York you can have your driving privilege suspended or even revoked for any number of reasons. What’s worse is that many drivers on the road don’t even realize that their license is suspended and are actually committing a crime when they get behind the wheel with a suspended license. This site is dedicated to offering information should you find yourself looking at a suspension. What Is The Difference Between Having Your License Suspended and Having Your License Revoked? Having your license revoked is more severe than having your license suspended. If your license was suspended, your privileges will be automatically reinstated after the suspension period is up. Revocation means that your driving privileges are taken away and will not automatically be reinstated after the revocation period is over. At the end of the revocation period, you will have to pay a suspension termination fee and the Department of Motor Vehicles then needs to issue you a new license. Call The Rosenblum Law Firm now for a free consultation. It’s quick, free and there is no obligation. In New York How Can I Get My License Suspended or Revoked? If you are convicted of a serious traffic violation of 3 points or more while holding a Junior License. Is It A Crime To Drive With A Suspended License In New York? Vehicle and Traffic Law section 511 states that if your license is suspended that you can be charged with a crime and in some cases you can be facing a felony charge with a minimum required prison sentence of 1 year. Often times drivers will find themselves handcuffed and on their way to jail before ever realizing that they were driving on a suspended license. Unfortunately not knowing that your license was suspended, even when you state that you did not receive any notification in the mail does not completely absolve you from getting arrested and charged with a crime. Some of the most common ways that drivers find themselves in trouble with the law is when they fail to respond to a traffic ticket. This can include ignoring a ticket, not making a court appearance, or being found guilty of a charge and then failing to pay the fine. Any of these actions can result in having your license suspended in New York. Does It Matter That My License Was Suspended Previously In Another State? With the increase in technology it is important that you make sure you fight any charge that you are facing against your freedoms and liberties. Before, many states were not able to effectively communicate traffic violation matters to other states. Now many states have reciprocal agreements to share traffic violation matters and various criminal records between the states. A license suspension will usually be communicated to other states even if you move to a different state. Running away from tickets or previous violations most often proves futile as many states freely exchange this information to make sure each driver has one uniform driving record. Not only that, most if not all driver’s license applications forms ask you whether you have been suspended prior in any jurisdiction. If you are untruthful and you say “no” and later DMV finds out you were not telling the truth, they can charge you with a crime for filing a false instrument. I turned in front of a truck and was hit. I totaled my car and was ticketed. I am 17 and have a junior license. Am I going to get my license revoked? Bethany – what are you being charged with? I got pulled over yesterday for a brake light being out and the officer informed me my license was suspended, but could not tell me why. I didn’t understand about the NYS assessment fee until I got home and did the research on it. I thought the letters were for missing a court date which I took care of. I set up the payment plan for the assessment, couldn’t pay for the suspension removal because it couldn’t find the information online, so I’ll have to figure that out with the DMV tomorrow. Is there any way to plead down from a misdemeanor on the suspension ticket? Lisa – yes, there is. Due to the serious nature of this offense, I strongly suggest you contact us immediately for a free consultation at 888-883-5529. I got my license five months ago, however this morning I got pulled over for doing 80 in a 65 zone. Is there anyway I can avoid a suspension. This is my first ticket of any kind. Mary – to prevent license suspension you must avoid incurring a serious violation against your license. Thus, the best way to protect your license is to fight the underlying ticket. I moved from NY at the end of September and when I did I changed my insurance to NC. I waited too long to change my plates to NC now my license is suspended because it looks like a lapse in my insurance to NY. What can I do get my license reinstated so I can switch to NC? Aaron – you need to clear up the underlying reason for the suspension. You may contact us with any questions at 888-883-5529. I just received my abstract driving record and it states that i owe $3080 in fines. I really would like to get my license back so i can drive to work but i cant afford to pay that large amount. Do you have any suggestions on what i can do to get my license back? My license has been revoked since Dec 2011 for a period of 5 years. That revocation period will be up this Dec 2016. I have looked online at my current status of my license and it says a permanent revocation. I researched this and I realize they have changed the DWI laws in NY and I may have a permanent revocation of my driving privileges. The law states under extenuating circumstances it may be affected. How can I plea my case to fall under extenuating circumstances? Additionally if I cannot drive in NY state is there a state I can move to, so I can? I am 28 and cannot afford professionally to go my whole life without driving privileges. Thank you for any advice. Sean – I suggest you contact us for a free consultation at 888-883-5529. I had my license revoked for a year from a DWI. My revocation period is up and I have been trying to get everything in order to get my license back, however I keep getting a different answer from everyone I talk to. I am trying to figure out if my license is now suspended..or what the deal is? I just need to know what I need to do to get the ball moving. I know that the mistake was my own and I have been paying for it. I do not know what else I have to do other than pay the Civil Penalty. I have been told anywhere from 17.50-100 for my license; and then i was told that I have to purchase a vehicle before I get my license which is nearly impossible. Taralyn – you may obtain a copy of your NY abstract online – which will tell you the current status of your license. My license was suspended in 2012 for (4) unpaid parking tickets. Is there any way i can have my license reactivated with out paying the full amount for the tickets. I suggest you contact the court to determine whether they would entertain a payment plan. I’ve recently relocated to Texas. After I moved a missed a court date for a speeding ticket. If I don’t answer this ticket my NY driver’s license will be suspended. However, if I plead guilty, it is an 8 point ticket that will cause a suspension since I already had 9 points. I’ve already surrendered my NY license and have obtained a TXS Driver’s License. If my NYS License is suspended, will this affect my TX license? Additionally, can unpaid NYS traffic tickets be sent to collections or affect your credit? Any information will be helpful. Thank you. Tintu – the impacts of a license suspension will transfer to Texas. It is therefore in your best interest to consider fighting the underlying NY ticket. I live in CT , am registered in CT but have a suspended license, I think, in NY. Can you help me? You need to call the DMV. Found paperwork that my sons girl friend has tickets which suspended her license. His car is registered and insured to her. She claims she has none so he is not questioning further. 1. How can you register a car with a suspended license. Linda – your son should not be allowing someone with a suspended license to drive his car. I had my license revoked and suspended after a dui. I’ve satisfied all requirements to have my license renewed. The revocation period is over, all fines and fees have been paid. NY is requiring me to submit an application via mail. They told me it could take 4-5 months to process. I’m leaving NY and don’t need a NY license. Can I just apply for a license in a different state. Russell – suspension information is shared among the states. The NYS Income Tax Department suspended my license because I have unpaid income taxes. I went to DMV to get a “restricted license” . I need a driver’s license to search for work so I can pay back my taxes. Yet, DMV claims I need to be employed to qualify for a restricted license. Is this correct? Can’t I have a restricted license (In NYS) that allows me to search for gainful employment? I suggest you contact us to discuss your case in further detail. Dave – the Judge has a large amount of discretion when dealing with these types of cases. Thus – it is very possible that your license will be suspended. I never had my license but I jus received a letter saying child support is going to suspend it I’ve paid my child support but have recently fell behind do to unemployment issues the child support is in NY and I have recently moved to p.a can I get a license out here? While we are not licensed to practice in PA, licenses suspension information is shared between the states. I have moved permanently Texas 8 Months Ago, and did transfer NY DL to TX DL, but in NY i had couple of traffic ticket and last week my NY LIC got suspended for One Months. License suspensions are transferred between the states. I suggest you clear up any outstanding problems with your license in NY before continuing to drive in TX. I got a ticket in new York for the trailer lights being out on the company. My boss was supposed to pay the ticket and never did. Now I’m back home in ga and just found out my license is suspended and I no longer work for the company owner who was supposed to take care of the ticket. I’m unemployed and don’t have money to pay the past due ticket. Any suggestions on how I can take care of that? I need my license. I suggest you contact your former employer to inquire whether he will aid you in paying the suspension termination fee, along with the underlying costs of the ticket. Hi my brother is on probation for driving with suspended license he just got locked up recently for driving is there a class or program he can take to show the judge so that he will not be sent to jail. James – You may contact us to discuss your brother’s options. Hello. In Dec 2012 I took my truck off the road and got rid of it the truck registration was up in august 2013 and i scraped it off. I thought I had turned in my plates but as it turns out I didn’t. Upon realizing this my wife and I looked for and found them and turned them in by mail ha e a receipt from them as turned in on October 6 2015. Since the registration was up in Aug 2013…I believe it would be an 8 month suspension. Would they already count the 8 months as being up or would it start from when the plates were received. And what recourse do I have if they are going with the suspension from the time plates were received? I suggest you contact the DMV for this issue – as it depends on how the suspension was issued. My wife got a DUI. She finished probation on 9-11. Probation office gave papers to take to DMV. They gave her a address to send a $100.00 check to get her license back. I mailed check 9-12. It cleared on 9-28. It is 11-16. There is know license in mail. It is now 7 weeks. I suggest you contact the DMV. I’ve been caught speeding over 40 speed limit and it’s 11 points and an automatic suspension. What if I will change my driver license to NJ where my parents live and receive only 5 points instead of 11? Your license will be suspended in NY, which will transfer over to NJ. What you are suggesting will not assist you. Hello, today I learned my nys license is suspended as of 8/29/2015, allegedly due to tickets from a town nearby my former college. I do recall getting one speeding ticket there in 2002 and I do not know if I paid it or not. Can they really suspend my license from a violation almost 14 years ago with no warning? Also, why would two suspensions be showing on my driving abstract when I only got one ticket? Any help would be appreciated it doesn’t seem right they can suspend me over a decade later. Lauren – they can suspend your license from an violation that occurred a significant time ago. I suggest calling the DMV to determine how best to clear up your driving record. I am aware that if you are convicted of any moving violations in NY, you are required to pay a driver responsibility assessment fee, but what is the cost of the DRAF if your license has been suspended? The assessment fee is based on how many points are accumulated against your license – beginning at $300 over the course of 3 years for 6 points. I was released from prison in march. While incarcerated I was suspended for failure to appear. Since my release I have paid all fines and fees. When I check my status it shows all fines being paid however says I still cannot drive. No reason is given. I have all paperwork stating everything is paid off can I still drive? You need to contact the DMV to determine the status of your license. I currently have 0 points on my NYState DMV record. Unfortunately , I have had string of bad luck…cell phone tix, speed, red light……totaling14 pts……I have intentions of taking Defensive Driving Course…..should I take it before or after any conviction? It is my understanding that points are lowered AFTER points are accumulated. A lawyer friend suggested that I take the course asap.because it would help during a court date. But if I take course now.,,,I cannot eliminate futures points. John – that is a great question. The answer might depend on where these violations occurred. You may contact us to discuss your case in further detail. I received a ticket for biking in the wrong direction in a bike lane. I paid it off late and now I received a demand to pay $70 more for license suspension termination. I don’t have a license in NY state but one in NJ. I read that cycling tickets have no influence on your drivers license. Is this fee fair? Should I pay this off? What are the consequences if I do not? I suggest you pay this fine. I am 16 years old, turning 17 next week. I am married, emancipated, and a mom… I have a ticket for following too closly, but paid the $50 fine. Then I got a ticket for facing the wrong way and paid that $25 fine. Then I got pulled over for failure to turn high beams off, and got a ticket for that, no inspection, and driving passed 9. I pleaded guilty to driving passed 9 and no inspection, and pleaded not guilty for failure to dim lights, so that got reduced to just no inspection and I paid $175 for that ticket. Then I was in a road check and got a misdemenor for fordged inspection (it wasnt fordged tech but still kind of was) and I have court for that tomorrow. Will they suspend my lisence? I need it to go to school and drive my husband to work and back. And also to take my daughter to the babysitter. Kensie – due to the serious consequences you are facing, I suggest you contact us to discuss your case in further detail. Hello my Driver License is not in a good shape, I have 3 speeding tickets pending, 1 cellphone, 1 fail yeild ped, 1 red light, and I have 6 points on my license, lets say on my next court date I go DMV and plea Guilty and get suspended, what will happen after suspended license, is my license going to be clean with no points ? or do I have to pay for the other tickets ? or on my court date I have to go court for other tickets ? George – due to the severe consequences of your tickets, I suggest you contact us to discuss your case in further detail. We offer free consultations at 888-883-5529. So, I was just pulled over for speeding a few hours ago. Fairly certain my DL is suspended for failure to appear. The officer took my license, insurance card, and registration back to his car. I saw him on the radio with dispatch. As I’m sitting there, certain that I’m about to be arrested, he returns, hands me a speeding ticket, and lets me go on my way. Is it possible he missed the fact that my license is suspended? Decided (for whatever reason) not to charge me? Can I be charged with AUO after the fact, due to the speeding ticket? Is it possible that my suspension just isn’t “in the system” yet? Jim – I suggest you obtain a copy of your abstract to determine what the status of your license is. Checked online to see how many Points I have on my NY Drivers License. It show 16 Points, and it says I can still drive. Only got two Speeding Tickets in 18 Months. One in August, and the other in September 29 2015. Haven’t submitted the Ticket to the Court yet. Will my License still get Suspended even though it’s only two Speeding tickets within 18 Months, and 16 Points? Hector – you can not have 11 points in any 18 month period. I am guessing you are looking at the total number of points you have received on your license over the course of many years. 3 speeding tickets, no matter how many points they carry, in any 18 month period will lead to a license suspension. License will be suspended in about a month. If I take the defensive driving course to put my point number under 11 can it stop the suspension? What will your license be suspended for exactly? Hi, last year I got a ticket for failure to stop at a stop sign the 2 points were suppose to come off of my record this September 2015, but I received a ticket for having a cell phone in my hand while driving (Not up to my ear BUT in my hand) I wasn’t even talking on the phone. I’m going to court to fight that ticket Nov 4th to fight that ticket. Today I received a ticket for speeding 11 miles over the speed limit what should I expect when I go to court?? I plan to go to court for the speeding ticket too. Tamia – I need to know what court is handling this case before I can give you further information. If your boyfriend is being charged with the offense, you will not be liable. I do suggest you advise your boyfriend to pay this ticket immediately. I have a DJ license in NYS and I was ticketed for failing to stop at a stop sign. It is my first offense and I was wondering if my license will be suspended? No, it will not. License suspensions occur if 11 points are received within any 18 month period. This must be done through the NY DMV. I suggest contacting them to determine the most efficient way to do this. Ok so,i had my license suspended when i was 17 i am 31 now i have. aseat belt ticket. Was caught a few times driving with a suspended license and a speeding ticket. I have stayed out of trouble for the last 8 years and finally have to money to pay off these fines. I checked my dmv report and it still states i am suspended not revoked. Is there a chance after i pay off all these fines as well as a fee to lift the suspention ill get my DL back or are the points i acrude back then going to hold me back?? While I believe you will be able to get your license back, I would like further clarification on the current state of your license. You may contact me for a free consultation so I may give you further information. I was an NJ resident where I have accumulated 6 points on my drivers licence due to a couple of moving violations. My license is still valid though. I am required to pay $225 surcharge every year for 3 years to NJ DMV for accumulating 6 points on my NJ drivers license. I already paid $225 surcharge for 1 year and need to pay for 2 more years. I recently moved to Texas and I am planning to change my drivers license to Texas state. If I get the Texas drivers license, can i skip paying the remaining surcharges in NJ. Will Texas DMV come to know about my outstanding charges in NJ if i ever dont want to pay my NJ surcharges?? You must pay any and all surcharges to NJ. If payments are not made, NJ can suspend your license – which will in turn lead to a suspension in Texas. I have over 28 suspensions. When I looked into trying to get it corrected I have been giving the run around. Most of the suspensions happened in NYC area. I also have a few in the upstate NY area where I live now. They are all from 2002 & 2007; At this point I am unable to get to NYC to address these issues and was told this is the only way. What should I do??? Leek – I suggest you contact us to discuss your case in further detail – as I need more facts to provide you with pertinent information. If you accumulate 11 points in any 18 month period your license will get suspended. Your driving history will remain on your abstract, and the violations will not disappear after 18 months have passed. i had a suspenion for two diffrent tickets.in 2010,i paid the fine court cost and suspenion fines.but i have two child support suspension which im clearing up.but the suspension was in 2011 and 2012,my license expired 2014 they are cdl,s class a.would i have to retake the whole test and driving test again once i clear up the suspensions? I suggest you contact the DMV to clarify what procedures must be followed in your case. My license was suspended due to child support arrears due, when I finish paying the arrears how can a get my license back. What is the process? I suggest you contact the DMV – who will provide you with the proper information to reinstate your license. Ricky – I suggest you contact the DMV to determine what needs to be done to bring your license in good standing. I’m from new York and I got stopped by a state trooper for speeding 90 on a 55. I took the driver defense course just to take the paper with me in case they ask me to take the course. I plead not guilty because I was told if I did plead guilty my license was going to be revoked. I was wondering can my license be taken away or suspended or will I just be paying a fine. Michelle – You are facing an 8 point ticket that carries substantial fines and penalties. License suspension occurs at 11 points in NY – thus – I would need to review your driving history before providing any additional information. You may contact us for a free consultation. Hi, so this July I received a speeding ticket for going 79 in a 55. I pleaded not guilty to this charge, but I just recently received another ticket for going 69 in a 45. At the time I had a class DJ license. Although I just recently turned 18 and received my full class D license. (I believe). I’ve realized the fault in my ways and have stopped driving so fast and was wondering what someone with your expertise would offer for advice? I need my license to get to work and school which I live about 30 miles from. Stephen – you are facing a license suspension, along with substantial fines, and a significant impact in your insurance rates. I strongly suggest you contact us to discuss your case in further detail. If my license is suspended for a civil lawsuit and I cannot get in touch with the person that filed against me to oah. How can I pay it? Also can I apply for a restricted or conditional license so I cam drive to work during this time? In order to assist you, we require additional information. You may contact us for a free consult. Within the past 2 months I received 11 points. 6 points for speeding and 5 for sell phone use. Can anyone help and tell me what is possibly going to happen when I go see the judge ?? Your license will likely be suspended. My license was suspended a few months ago for an inspection ticket. I went to the traffic authority bureau, and paid the ticket and the suspension lift fee. They told me it would take 72 hours for the system to be updated and have my license be valid again. I have the receipt of the suspension lift to keep in my car until it is cleared in the system. However, it has been over a week now and I looked online on “My DMV”.,,and it still says my license is suspended. The clerk told me there was only the one ticket, and no other reason. If I paid it and it’s supposed to be good now, why does it still say suspended?! I suggest you contact the DMV. It appears that there was a delay in processing your information. I have a suspended license for outstanding tickets. I am taking care of these tickets on Aug 31st 2015 and Sept 1st 2015. They were for expired inspection and registration, and one for being on cell phone. I have court appearance on Sept 1st since I was pulled over and arrested. I start a new job on Sept 7th, and I need to have driving privileges in order to make a living. I will be driving a company car. I paid the suspension termination fee of $50.00 on DMV on 8/28/2015. Once I pay the 4 tickets, how soon can I have a license to drive. I must show my new employer a license. I have been out of work for 9 months. I cannot lose this job. I am stressed out!!! Can I resolve any of this at my hearing on Sept 1st? Can the court supply me with anything to present to DMV? Any information will be helpful. I suggest you contact the DMV to determine what additional steps are required to reinstate your license. Hello was wondering if all suspensions stay on your license the same amount of time and are treated the same way. I have two suspensions one was for not paying a speeding ticket in time I let them know I did not have the money and would have to pay it a a week late they said just don’t drive till you pay it which I did. I also have another suspension because I didn’t pay my driver responsibility fine in time again I didn’t have the money in time and I payed it a week or two later. How long so these suspensions saty on my license and are they looked at the same as other suspensions? The length of the suspension is generally at the discretion of the judge. We would need more information to give you advice more specific to your case. I received a “NOTICE OF IMPENDING DRIVER LICENSE SUSPENSION & CONVICTION” for speed not prudent and failing to appear in court for the ticket (I hadn’t received any notice to appear in court.) I live in New York City. According to the letter the suspension goes into effect on August 31st, 2015. The notice continues that if I don’t answer by Sept 30th, 2015 an automatic conviction and suspension fee of 70$ will apply as well. *( I have the paperwork, bond receipt hearing schedule etc. so the TVB does have on their records today that I answered the ticket before the impending suspension date of August 31st). I suggest you contact the court to assure your license is in good standing. Why am I being fined $138 if the law states I can be fine UP TO $50? Matt – court fees are an additional $88.00. I recently received a ticket in FL for driving on a revoked NY license. Officer said my license was revoked in NY in 2010 and the ticket I was issued had my NY credentials, however I surrendered my NY license in order to get a NJ license back in 2004. I did find that my NJ license was suspended for failure to pay a parking ticket which I’ve since settled. I’m wondering two things: Is it possible that my NY license WAS revoked in 2010 even though I’d surrendered it several years earlier? and 2) Is the summons I received valid if in fact the issue was with my NJ license and not the NY credentials listed on the summons? Thanks for your guidance. Jess – when NJ revokes your license, that information is shared with NY – who in turn revoke your license as well. States honor the rulings of their sister states. My license was revoked many years ago, during the period of 1993 – 2000 I got many moving violations for riding a moped without a motorcycle license, I would say about 50. All for no motorcycle license, no insurance and no registration, after accumulated so many and I was not able to pay, then the suspension came, eventually revoked. I had obtained a non driving ID instead from the local DMV. I was student from oversea, back then I was able to get a license without SSN, only with my passport and bank acct. however the info provided was true such name, date of birth and picture. I got my greencard and SSN in 2008, I thought I can start new, In 2010, I had tried to apply for a driver license, I did the written test but they found out perviously I had a license after checking my non driving ID. They say I must pay the money I owed, I know I owed few thousands dollars, I’m wondering if they anything you can do to help me, I really need a driver license for work, thank you for your advice. Sau – you should contact the DMV to determine how they can work out your past due fines. i got two ticket in ny like 1 years ago. it was same month but separate day. when i got ticked i have nj license. now i have pa license. first ticket is from speed, second ticket is from traffic light. i paid all violation for ticket and i got 6 points from speed, 3 point from traffic light. a year has passed from ticket. but my court is just done. they will suspension my license? they will send point pa? if they send when will erase point? Halil – a) license suspensions occur at 11 points; b) the violation will transfer to PA – how many points you are assessed in your home state will be up to your state’s laws, c) 11 points can not be incurred within any 18 month period – insurance companies look at points for 3 – 5 years. 2 month ago I got a speeding ticket and paid it online, I have a receipt that shows my payment to the court. But today I got a suspension order which says failure to pay a driver responsibility assessment. Why it happened? Is there something wrong? The driver responsibility assessment is an additional charge that must be paid to the DMV – this will arise any time 6 points or more are received against your license. My license is suspended due to failure to pay a ticket. I can’t find the ticket and I was not in a familiar area when I got it so I’m not sure how to go about paying it. Can I pay it through a different county DMV? Also, my registration goes up soon. Am I able to renew the registration of my license is suspended? I suggest you contact the DMV to determine where the ticket originated. You may then contact the court to resolve the underlying basis for the suspension. I received something in the mail saying my license was suspended. I called Nassau county traffic court to find out why. They told me it is from a stop sign ticket from 2006. Now, being almost 10 years later and absolutely no memory of this ticket. Do i have a fighting chance? I have a clean driving record with no points! You might consider paying the ticket, as there is only a minute chance of this ticket impacting you in any way. Now, for insurance purposes, I’m considering getting a license in another state and turning in my NYS DL. Is there any benefit to this, particularly as the insurance companies are concerned? JC – great questions. Violations impact your record from the date of violation, not the date of conviction. Transfering your license from state to state will generally not have an impact on insurance, as your driving record is transferred among the states. I am trying to get my license back. When I was younger I know I ruined my driving record. Now Im just trying to figure out what steps I need to take so I can at least get my license for work. Does anybody have any suggestions? The first step is to find out the current state of your license. You should contact the DMV and obtain an abstract. After you have received this – you may contact us for a free consultation. I have not renew my license in 20 years because I went over seas and didn’t have a use for it. But now I’m heading back to the states to work , what can I do to get back on track? I suggest you contact the DMV to determine what steps are necessary to reinstate your license. Lapse of insurance for a year , i didnt know, i thougth i was covered, but the insurance company dropped insurance and sent me a letterbut i didnt receive it. Registeration suspended, license suspended. I will turn in my plates, but how do i get my license reinstated so i can drive . Do i have to go to a judge? I suggest you contact the DMV to determine what steps are necessary. You should contact the DMV – they should be able to guide you in the right direction. You may contact us if you have any difficulties. We do not handle licenses in PA – you should contact a PA attorney. Can I still get a Pennsylvania license even if my license is suspended in state of New York. I suggest you clear up the NY suspension as it can impact your PA driving privileges. I lived in NY and I moved to PA last year. I got a speeding ticket a while back when I lived in NY, then got a letter in the mail last year that my license was suspended and it would be suspended til I paid the fine. I paid it back in October and my license is still suspended…. I have no idea who to call or who I’m supposed to talk to and have no idea what to do to get it my suspension terminated. Natalie – contact the DMV to determine why your license is still suspended. There are likely additional fines you are unaware of that need to be paid. I suggest asking about the driver responsibility assessment charge. Okay I got a ticket in NY on June 4th for not having a front license plate on my vehicle is it possible that my license could be suspended because I no longer live in NY and now live in NC and cant afford to go back to NY to pay the ticket is it possible to have my mother who lives in NY to appear on my behalf and pay the ticket? Kaitlyn – if this is the only offense you are being charged with – you might be able to pay it online on through the mail. I suggest you contact the court to determine how best to resolve this. I currently have a CT state drivers license but have recently moved back to NY state and would like to apply for a drivers license in the state. I’m a former NY resident, and had my NY license suspened 5 years ago because of a DWI charge. I had paid all the fines but only completed half of the drinking and driving program 5 years ago, after the conviction. Will I be able to get a NYS drivers license without the completion of the DDP, 5 Years later? What steps should I take to get a ny driver’s license? I suggest you contact the DMV to determine how best to complete the steps necessary to reinstate your license. NY will not simply ‘forget’ that you have not completed the required program. My Husband just received his license in April, since he had moved here from England. After dropping me at the train station he went to put his navigation on, while moving slowly in the parking lot, and was pulled over and given a ticket for using a GPS system while the car was moving. He cant afford to have his license suspended since driving is the way he gets to work. Is there anyway to argue this ticket? Assuming he has a standard license, it will not be suspended for one cell phone ticket. You may contact us for a free consultation – we will be happy to advise you on your best course of action. If my license gets suspended in NY for a dwi does it reciprocate with California? Can I drive in California if I have a California drivers license now? How does this work? States share suspension information with other states. I suggest you contact a CA attorney to determine how a NY violation would impact your driving privileges there. My boyfriend just got his license suspended because of outstanding NYS taxes. Is the only way to get the suspension lifted to pay said amount? He was planning on buying a new car, can he still buy, register, and title the new car with a suspended license, as long as somebody else drives the car, while we figure out how to go about removing this suspension? Tina – your boyfriend must pay the outstanding balance – or come to some sort of payment plan. I am 27 yrs old & nys license had been suspended for yrs. Recently paid all suspension & court fees & now need to start all over, from permit to road test to license. Do I have to go through 5 hour course and supervised driving as well? I suggest you contact the DMV to determine what steps you must take to reinstate your license. I has nj license suspended , but im move to ny .so can i apply for a New license in here ? States respect the rulings of their sister states. I suggest you clear up your license in NJ. My son had a NY license that was suspended for multiple infractions. Two years later, all fines paid and suspensions served, he is trying to get clearance so that he can obtain license in another state as he now resides there. NY is still saying that he has more hoops to jump through-Out of State disclosure form to be submitted. Can they legally still control his priveledges to obtain out of state license if he has paid all fines? Diana – NY is not required to reinstate his license until all requirements are met. You may contact us if you have any questions. I got 6 pts on my NY DL on Oct 2014. I paid the $300 and took a Defensive Driver course to reduce 4 pts on my license. I want to apply for the TLC license but I am scare to do it because in the application says that “Critical Driver Program: If you have accumulated 6 or more points within 15 months prior to and including your most recent DMV point conviction, you would, if licensed, be subject to license suspension or revocation under the Critical Driver Program; therefore, your application will be denied.” So should I send the application although I only have 2 pts on my NY DL? or wait for the 15 months to pass? Joel – Please contact me as I would like to clarify a few issues with you about your situation. Had to miss TVB ticket hearing in brooklyn south earlier today (baby is home with a fever so could not send to sitter). I was not able to reschedule online as I had pushed it off once before ticket is from 7/08/13 which is absurd that its 2 yrs from original violation. I am planning to go to TVB first thing Monday. Will my license be suspended immediately for missing hearing? Will I be convicted for not showing up automatically? I suggest you contact the court ASAP to assure your license is in good standing. Hello I mobed to TX over 7 Yrs,only lived in NY for a Year did not know i had to turn in plates,just renewed my TX DL,got a letter today ssaying license will be suspended,From the state of new york have no tickets,no Ins lapse. Is this becuase of not turning in plates? and if so what do i do if i dont have the old plates? I suggest you contact the DMV to determine what is causing the license suspension. my husband just got out of jail. he was in there for 18 yrs we just found out the his driver lic is suspened how do we find out what it was for and what he owe. how does he get it back. I suggest you contact the DMV to find out where the offense occurred. You may then reach out to that court to determine how to get the license reinstated. I am in the process of moving to NC, my NY DL was revoked in 2007 for my third DUI. I have been sober ever since and have paid all my fines, driver responsibility assessments, completed rehabilitation and have been evaluated and approved through OASAS for reinstatement. I spoke with the DIU at NY DMV and hey told me I would be approved for Restoration of Privileges but I would have to get a Interlock System for five years and a restricted license. When I informed them that I was moving to North Carolina the DIU person told me that I should just go to NC and apply for a license and when they look me up on the national registry as not having any revocations or suspensions in NYS I should be okay to get my NC license. He said if I was to continue to live in NYS I would have to get the interlock system and the restricted license but because I would become a resident of NC it would not apply, is this correct information from the NYS DMV or will NC require me also to do the same. Thank you. We can not advise you on NC law. I suggest you contact a local attorney. I just filled out a MV-104 and the date of the accident was 2/20/15. I was hit on my front left tire wheel fender and I just called my insurance and got an estimate of over 1000.00. I did not file a police report. I spoke to a lawyer on the phone and he asked me if there were fatalities and I said no. I am concerned about what might happen to me because I didn’t file the accident right away. Meryl – in order to provide you guidance, we need more specific details on your case. You may contact us for a free consultation. I’ve been told my license is suspended. One reason is for an unpaid ticket, in upstate. I know how to take care of this and have the ticket information. There are two other suspensions, one for a failure to answer a summons and the other, failure to pay a fine. The problem is that I have no information about these two tickets and no vehicle information that might help me find them online. If I look at my abstract of driving record, suspension dates and order numbers are listed, but no violation or ticket numbers. How can I resolve these two violations if I don’t know what they are, where to find them and who to make payment to? Thank you for your help and any assistance is greatly appreciated. You should contact the NY DMV – they should be able to let you know which court handled your tickets. My license just recently expired because of my 21st and I was caught without a the seat Belt and with expired license. Is this gonna suspend or revoke my license because i have only had these 2 charges within the past year the other was a speeding ticket, iI really hope they are just fines that i have to pay without losing the license. Seat belt violations for adults are zero point tickets. I have a current pa license. I got a speeding ticket in ny for 100 in a 65. I paid the ticket but didn’t realize til now that ive been fined $150 for3yrs as a driver responsibility assessment fee which i now owe $300 as its been a yr this past march. The letter states they suspended my ny driving privileges in ny til it’s paid. Will i be able to renew my pa driver’s license (my license is up for renewal in August 2015) or not til the assessment fee’s are paid? You should resolve any outstanding issues regarding your license suspension ASAP. Long story short I got a speeding ticket in Wayne County NY in December of 2013, I went through a depression and just ignored all the letters then as I was coming out of my depression I became unemployed and once again was depressed. My license was suspended in May of 2014. I have since been playing catch up on all bills and I finally have the money to pay my fines. Because it’s been so long since the suspension would the amount in fines remain the same or would it of increased because of how long it’s been? The fines should be the same. There will likely be a suspension lift fee (approximately $70). My license was suspended in 2012 for speeding ticket in Frankfort N.Y., I haven’t been able to pay the off the court and really miss my driving privilege for my very first offense. How do I go about getting my license reinstated? You need to address the underlying ticket, and then you may lift the suspension. You may contact us if you would like some guidance – 888-883-5529. Hi I’m from Cali and I want to the DMV to renew my license I paid to for the renewal test past it and the lady said that my license is on hold in the state on NC for a traffic ticket and said i need to clear that up but they still gave me a temporary drivers license and the reason I couldn’t make the appearance was because I’m in a different state and no money so I called nc court house and they said I can’t pay it I have to see the judge in nc which I can’t do because of money wise so I’m wondering if my license would still be suspended in California even though they gave me a temporary license ? You need to discuss this with a CA attorney. I transferred from another state and didn’t renew my license. I need to now, however, I’m just past the NY two year deadline for an expired license and I’ve been told I need to take all the tests again. Is there a penalty fee I could pay to take care of this? Or is taking the tests, class and road test my only option? The ability to drive is time sensitive and at the moment they’re staying the whole process could take two months. Contact the DMV to see if there are any expedited methods of obtaining a license. I just send the payment for a fine 2 days late, will they remoove my license and if yes may I pay s fee to get it back? I suggest you contact the court with this question. Hi, in 2012 I was pulled over in milford mass for driving with no insurance. My plates were confiscated and car towed. When I came back to new york I found that my liscence had been suspended indefinitely for not having returned the plates since my insurance had lapsed. I was told that I could remove the suspension by returning the plates or providing an official record from the police department stating what happened to the plates. I coildnt return the plates because I have since then been unable to return back up there, and i tried for 2 years to reach someone up there who would be able to maybe provide me with the paperwork. I was wondering if your firm would be able to help in this situation. Or would you be able to point me in the right direction so that I may resolve this, its been 3 years now and im desperate needless to say. I would like to fix my liscence so that I may return back to work. Thank you. Was your license suspended in MA? If this is the case, you would need to contact an attorney located in that state. How do I check to see if my Washington State drivers license in not still suspended in the state of New York? I received a 90 day suspension for driving in New York on 10 Feb 2015. The 90 days have passed and I don’t want to get pulled over or arrested if my suspension has not been lifted. I checked the WA state DVM site and all is says is valid but, it also used to say the same thing when my NY state suspension was imposed against me. I have not received anything in the mail from the DMV. Thank you for your assistance. You can start by obtaining your driving abstract. Miguel – I suggest you contact the NY DMV to determine the status of your license. Question: if i had my license restricted for child support and received a seat belt ticket and now my license is being suspended, how do i go about regaining my license?? Any and all help is appreciated!!! The underlying basis for the suspension must be resolved before a suspension can be lifted. I went to renew my car registration and was told it was suspended due to child support my husband owes on kids with his previous wife. I am listed as first owner of the car, but the car is in both our names. Can I do anything to get my car registration renewed? I really need it to drive back and to work and this is my car and not my husbands. I would contact the DMV to see if they have any suggestions other than the obvious a) Transfer registration to your name alone, or b) clear up your husband’s past child support issues. I have a suspended license got pulled over a week before i got my License back didnt get arrested just got the ticket & left my question is when i go pay for the ticket what can happen ? What did you get a ticket for? Randy – I suggest you contact us so we may discuss this case further. I would like to know if the letter gives any other indication of what fine is being assessed against you. We need more details to advise you. Please contact us for a free consultation at 888-883-5529. I am 17 and I Got my drivers license in February 2015 and got my motorcycle license last week. Today I got pulled over on my sportbike and he clocked me doing 111mph in a 55mph work zone but put me down on the ticket for 70mph. He cut me a huge break. Will I lose my license for good, or just the usual 60 days? Also, will i lose Both license or just the motorcycle license? That will be up to the discretion of the Judge. I feel asleep at the wheel and went off the road..only damage was to my car and a stop sign. now I found out my license is suspended until I submit a medical cert. saying I do not have a sleep disorder The reason I fell asleep was I had worked 14 hours straight for 13 days straight with an hour drive to and from the job site…Now my dr, wont complete the form until I have blood work, neurologic exams and sleep study..I start back up work in one week…is there anything I can do to speed this up..why do I need all these test, is this really necc. thank you. I suggest you contact us for a free consultation. I need some more details before I can advise you further. I suggest contacting the DMV to determine whether they are able to let you know what fine you are facing. I got a cell phone ticket and plead not guilty and I missed my court date which lead to my license being suspended. When I found out that I missed it i paid the fine and it was reinstated but now I am applying for a new job and they are looking at my driving history and I dont want the suspension on my record, can it be removed? What type of record is your job searching? You may contact us to discuss in further detail. I received my first traffic ticket for $ 130, an amount that said the ticket (Ihave evidence), pay it within 15 days by first class mail. They never sent me a letter, receipt or any notification on that ticket. I registered online at DMV and was I saw that my license was suspended for not answering the ticket. I call and they said they climbed these tickets to $138 , additional $8, so which were my debt and reason for suspension of license was for $8. Additional added me a fee of $ 70 for not paying on time. I have all the evidence that I paid the total amount due within 15 days. What happend here? What I can do to fix this? It appears your payment was never processed. While you can contact the DMV & the court, the issue truly becomes how much time you want to spend to resolve this matter. Suspensions in one state will transfer to another. I suggest you clear up the underlying basis of the suspension. Ok, so I was pulled over on 7/10/14, received a failing to yield ticket(which I paid). Fast forward to yesterday, I receive a bill in the mail from a bill collector stating I owe $1806 for failure to show insurance during that stop(I never received a ticket for that and had my insurance on hand). I thought this was a scam so I looked up the ticket. Turns out they claim they ticketed me and my license is suspended. It gets weird here because it says I failed to appear in court on 8/21/14(was never sent a letter for this) and that my license was suspended. However, I got my license renewed on 11/20/14 at the DMV. This makes me think that this was some kind of error, because I was never originally ticketed for not having insurance and that the DMV also granted me a license renewel. This morning I got a signed doc from my insurance stating that I was insured on that date because I figured I will need that at some point for proof. I appreciate your help, thanks! I suggest you contact us to discuss your case – as there are certain facts we need to clarify before giving you proper advice. I moved to Florida 18 months ago from New York and got a Florida license. Several days ago I received a notification from NYSDMV at my old NY address that my NY license (which I no longer have) would be suspended due to non-payment of NYS Income Tax as of 3/31/14. Will the Florida DMV be informed and my Florida driver’s license suspended? 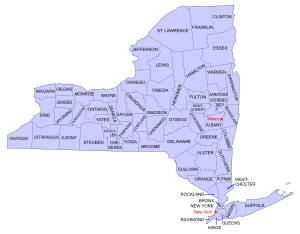 I’m in NYS now to try to sort it out, but I don’t need that additional complication – it’s bad enough that I can’t drive now in New York State, but being unable to drive anywhere else in the country would lose me my employment for sure. Yes, your Florida license can potentially be suspended due to a suspension in NY. Can a court after 21 years suspend your license for what they say was failure to pay fine. I did appear, and I have 2 friends who went with me to confirm, and took care of situation. Are there any statutes of limitations for this issue? There is no statute of limitations on speeding tickets. If you were unable to obtain a public defender, you may contact us for a free consultation. We will be happy to help. I suggest you contact the DMV to determine whether you have any course of action. i was driving without a license for many years got caught and never went to court. Recently I was in an accident and got caught again. I went to court and by some miracle got the nicest judge ever. My suspensions are lifted but I still have a revocation with the DMV. He told me if I can produce a permit he’ll give me a fine and lift the infraction that is there now. My question is, will the DMV let me get my permit if I still have the revocation? You must contact the DMV to determine what specific procedure you must follow. I sold my car as a gift to my grandfather when I moved to GA October 2013 the move was so sudden and i did not know the plates had to be returned so Jan 2014 they suspended my license I have been taking marta so until I went to dmv I didn’t know it was suspended when I found out I faxed bill of sale to nys insurance beauru and mv 1441.3 a rude CSR informed me they felt like I was trying to get over on them because me and my grandfather have same last name , what can I do to prove I did not own car when insurance lapsed? Thank you any info would be extremely appreciated they are no help. We are not licensed in PA, and therefore can not advise you on their laws. I suggest you contact a PA attorney. Hello! My name is Gindea Vasile and I have a insurance claim for 104 days for my car in NY. I have a 64 days prof of insurance from another state. Can you help my please to clean my status on dmv from NY? I will pay how much you want. Thank you! You may contact us to discuss your case in further detail. I suggest you contact the DMV to determine what steps are necessary to restore your license. I had previously had my license suspended in 2012 when I received a speeding ticket, giving me 11 points on my license. I took a defensive driving course so now I am at 8 points. 3 years later (over 18 months) I received a moving violation ticket for 3 points. I have yet to go to court, however I plan on hiring an attorney and pleading innocent. If I do get convicted anyway, will my license get suspended again? Even though its past the 18 month period? Kayla – your license will be suspended if you accumulate 11 points within an 18 month period. Assuming there are no other factors which come into play, your license should not be suspended. As you have mentioned, however, it is advisable to fight the ticket to mitigate the consequences of this violation. I was in an accident because I fell asleep behind the wheel back in Oct. Insurance was notified the gave me the money for the car and police filed an accident report just 3 days ago I get a letter in the mail saying that my ny licence is suspended Indefinitely Under 510-3 of vehicle traffic law due to Failure to submit applicable medical documentation. Never went to the hospital what information are they talking about and what do i do about my licence? In order to better assist you, we need more specific information about your case. You may contact us for a free consultation. Michelle – both are separate offenses – which is the reason you were given an additional ticket. I suggest you fight the ticket for the suspended license, as it is a misdemeanor offense (for 3rd and 2nd degree) – and will permanently affect your record. You may contact us to discuss your case in further detail. If you get your licenses, and three months later get a speeding ticket. How long is your licenses revoked for? This depends on what is the status of your license. Please call to discuss. Hi I was arrested and fingerprinted for driving with a suspended license. I was unaware. Is this a record ? I work for the BOE and I might be fired. The cops did not read me my rights. Also I moved and had a change of address so I never received any other mail about my license being suspended. Is there a chance for me to remove this off my record or better yet beat the charge please. A conviction for unauthorized operation of a motor vehicle is a misdemeanor offense, and will be placed on your record. You may contact us to discus how we can help you fight this violation. Going back almost 10 years my license was suspended for 3 tickets. 1 speeding, 1 failure to stop at a stop sign and 1 unsafe lane change. I was very sick for years so when my license was suspended I did nothing about it. In 2006 I went to visit someone in jail and could not get in because a suspended license was not a proper form of ID. I went to DMV and got an ID card. Last year I went to court and paid off everything now that I am healthy and can driver again. I also did the same with DMV fees. I now have no suspensions at all and when I went to trade in my ID I was told I forfeited my license when I got the ID card and I now have to take my permit and road test again. I live in NY state. Is there any way to get my license reinstated or do I have to do it all again? We need clarification on some of these matters. You may contact us for a free consultation. I have not had a drivers license in 14 years. Had 2 DWI’s in NY and 1 in NJ. The most recent conviction was in 2002 and the revocation period ended 12 year ago in 2003. Long story short, I got sober and my life got better, but still no license. For some strange reason, even though I’ve paid all my fines and restoration fees, NY is STILL denying me a license for no clear reason. The dates of my convictions were: 1996 in NJ; 1997 in NY and 2002 also in NY. I received a letter of approval for a new license from NY in 2003. When I went to the DMV, they told me I had a National Driver Register hold from NJ. It took another 12 years, but I finally got that hold from NJ lifted. “Great!” I thought, and I was able to take and pass my written and road test in NY on 2/20/15. When my permanent license did not arrive in the mail after 3 weeks, I got curious and investigated. Due to a new rule in 2012 (that somehow is retroactive) It turns out NY is now denying me a license until 2021! (that’s almost 20 year after my last conviction. I’m sober 14 years, have stayed out of trouble, and needless to say have had NO CONVICTIONS in more than 13 years. I feel this is some sort of double jeopardy – I have MORE than paid my time. I am NOT a convicted felon (only misdemeanor). This is over-punishment and a far unjust delay. They arrests were all un-eventful – no accidents/injuries, deaths, etc. I need some advice and possible representation to clear this up. In the State of NY what should someone do to obtain automobile insurance once their licence becomes suspended due to an insurance lapse, and then they were caught driving with the suspended license and their car was impounded? I am under the impression you cannot insure in NY (orange county to be more specific) with a suspension due to insurance lapse, and you cannot register the car without proof of insurance…is this information provided me correct? Please contact your insurance provider. It’s there a difference between a suspended drivers license for a traffic violation and for failure to pay child support ?? If my license is suspended in NYC for failure to pay child support rears, would I be able to apply for a drivers license at another state, or if I already obtained a drivers license from another state would it be affected by my failure to pay on my rears in NYC. ???? This will often be a state specific question. You may contact us for more specific information on your legal issue. I have a bunch of tickets from 2010 and 2012. My license was revoked Nov 1, 2009. I never went to court for these violations. I currently have 8 suspensions that are active. I need to pay the $70 for each of them, but my question is: If I pay the lift fees, then get convicted of 3 speeds in a 6 month period, will it then be re suspended for another 18 months and I owe the DMV $1500 for the remainder of my Driver Responsibility Assessment Fee. Will I incur another assessment fee for these new tickets and how do I go about getting my license reinstated? I no longer live in NY, but I can’t get a license in NC until my NY license is all cleared up. I can give you my license # and you could have a look see for yourself to see the damage. I also have been convicted of more than 1 AUO, the exact # escapes me, but its not just a couple. My speeds are also typically 20+ over the limit, with two being 30+. Also, with these 8 or so tickets that have suspended my license in NY, will their convictions effect my ability to get a NC license? I moved to Colorado recently and my NY Liscense is suspended for lack of insurance but all I want to do is get a Colorado liscense and registration, how do I get a Colorado liscense with ny suspended? It’s for such a dumb reason, I have a flawless record before this insurance garbage. Thank you. The easiest way would be to remove the basis of the suspension in NY. Just today, I was convicted of a 5 point charge when already having 7 points. So I expect to have a suspended licence. I have heard there is a lapse of when the DMV will suspend it and when I will receive written notice via the mail. During that time I can not apply for a restricted licence until the written notice and only if they offer me the opportunity. Also during that time I would be in violation of the law. I can spend 7 dollars each time I want to check the record, but is there another way? Suggestions? Please contact us to discuss further, as there may be a way to prevent your license from becoming suspended. Hello, so my vehicles were insured under my parents name but registered in my name.. I wasn’t aware this couldn’t be possible I just thought as long as my cars were insured it wouldn’t matter! Anyway, my question is now dmv is trying to fine me because I wasn’t on my parents insurance so they suspended my registration and license for it. Is there anyway I can be put on my parents insurance if I pay the fine and lift the suspension? That is a question for your insurance company. License suspended due to child support arrears some 8-10 years ago. I Have been consistently paying support However i need my license for transportation, employment and family transport. How do I go about getting my license reinstated? Assuming the underlying reason for the suspension is resolved, you can have DMV reinstate your license for a fee. My car’s registration is up for renewal and I attempted to renew it online. However, I received an error message that I could not renew, which I discovered was due to an apparent lapse in my insurance. To my knowledge, I have consistently been insured (I did switch from State Farm to Geico this past August, so the only possible lapse would have to have resulted from some error by one of those companies during the transition). I never saw a copy of a suspension notice so I have no idea how I can possibly rectify the problem and renew the license online. The NY DMV website said that the only way to check my insurance status is using their online tool which requires a 10-digit code found only on that suspension notice. I need to renew this registration and regain my driving privileges, which I have no idea how I lost in the first place. Any assistance would be greatly appreciated. Have you tried calling the court to confirm your suspension notice? You may contact us for further assistance if you are still having trouble. Respectfully, you answered your own question. Your rights can be restrained ‘for the welfare of all other citizens.’ If you have further questions, please do not hesitate to contact us. Due to the complex nature of your case, please contact us, free of charge, to discuss both your DMV issue, as well as your potential legal recourse. Hello, I had an insurance lapse lasting 113 days because my insurance company said I failed to provide proof of previous insurance. Long story short my license is suspended. I’m curious as to whether or not I’d be subject to paying just the suspension termination fee or would the day by day charge be imposed to reinstate my license and register my vehicle again. You should contact the DMV for that question. I moved from NY to a different state and sold my truck that was plated and registered in NY state. This was 2 yrs ago. I was not aware of having to mail my plates back to ny . But I still have them. What am I facing if I return to ny and want to get my license switched and register my new vehicle in NY? I suggest you contact the DMV for information on the correct procedure in handling this matter. HI, SINCE 2010 I AM DRIVING IN NY TILL NOW AND HAVE 23 POINTS, NEVER BEEN SUSPENDED, BUT TODAY WAS MY LAST OPEN TICKET AND I LOST + 2 POINT JUDGE TOLD ME THAT I SHOULD RECIEVE MAIL FROM DMV SOON SUSPEND LICENSE. IF SUSPENDED, FOR HOW LONG OR IS THERE ANY OTHER OPTION TO GET BACK MY DRIVING STATUS? The length of the suspension is generally at the judges discretion. You may contact us to discuss this situation further, as there are more facts we need to give you more specific advice. Do you have a scheduled court date? If you do, then it appears that you have already answered the summons. You can call the court if you need clarification. My licens was suspended because of arrears of child support ( child support to high) can afort to pay child suport $252.00 plus arrears weekly its anything i can do now. I suggest you first attempt to adjust the amount of child support payments that you are required to pay. Hi I received a speeding ticket in 2005 in upstate New York while driving with a PA license. I plead guilty because I knew I couldn’t reach the courthouse, and then never could afford to pay the ticket. It is $275 (+a $35 suspension lift fee). Now I live in NY and want to get a license here. The courthouse told me it is probably way to late to request a reduction. Is this absolutely true?? Is there any recourse I can take to have this suspension lifted without having to pay such an extreme fee?? Joe – Unfortunately, it will be very difficult to avoid paying some fine for this, as this matter occurred about a decade ago. I received a “NOTICE OF IMPENDING DRIVER LICENSE SUSPENSION & CONVICTION” for driving with no seat belt and failing to appear in court for the ticket (I hadn’t received any notice to appear in court.) I live in New York. According to the letter the suspension goes into effect on January 26th; however, if I pay the fine ($138) before January 26th, will my license still be suspended? There are NO points on my license (even from this) and I have a clean record. Thank you. Your license can be suspended for a failure to appear, and you should therefore address this matter. I have 8 points on my license for 2 speeding tickets and recently got a cell phone ticket. I’m fighting the ticket if I lose, can my license get suspended? I have the defensive course, which should “take” 4 points out. I’m in NY. Where did you receive you latest cell phone ticket? In late 2007 I got a ticket in Elmsford, NY for speeding. I had a Pennsylvania driver license at the time. I paid the ticket in a timely fashion and was issued a Driver Responsibility Assessment to my Pennsylvania license which I also paid. Shortly thereafter I moved to New Jersey. Recently I got a cell phone ticket which I tried to pay online but I received a message saying I needed to go in person to a Traffic Violations Bureau. I went to the TVB and they informed me that my driving privileges in New York have been suspended for the last six years since I failed to pay the ticket in Elmsford. I then contacted the village court in Elmsford, they told me that the ticket had been responded to and paid in 2008 and that I had no outstanding responsibility to them. They re-sent paperwork to Albany saying that I had already paid the ticket in 2008 and didn’t owe them anything. I then called the New York DMV and gave them my new address in New Jersey in order to prevent the problem of not being notified that my New York driving privileges were suspended from happening again. Now, a week later, they have issued a new Driver Responsibility Assessment to my New Jersey license for the ticket from 7 years ago that I already paid an Assessment for. What should I do now? You may contact us for a free consultation on this matter. Generally speaking, we would need to reach out to the court again to determine where exactly the problem lies. My girlfriends license is due to be suspended on January 15th,2015 due to a speeding ticket during her probationary period is there any way to avoid this by paying the suspension fee early? If she is being suspended because she got a ticket during her probationary period then she will have to serve the suspension. If you have any further questions or concerns call us at 888-883-5529. Thanks! Hello I recently received an oui in maine, but I am licensed in NY and my driving privileges in maine are suspended. But currently NY has no idea, I called the NY DMV and they said to obey everything the state of Maine told me to do. Which I have done but I want to know how long it will take for NY to find out and if there is anything I can do to speed along the process. If my licensee in NY is going to be suspended than I want it done and over with now. Communications between the States usually take time. The DMV of NY will have to be notified first before you can find out what further action may be taken. It may help to contact the DMV and ask what action if any they will take against you if they receive information about the OUI. If I pay the suspension fee, or fine fees will I be able to get my license out of suspension and given more time to pay the rest ? Suspension fees must be paid first. This lifts the suspension with the court and the DMV of New York. Your next step will be to address any other fines or open tickets that are still with the courts. If you have any further questions or concerns you can speak with an attorney at 888-883-5529. Thanks! I received two speeding tickets for going over 20 mph within a month of each other. Is it possible for my license to be suspended? If they were regular speeds and you have a full license, they would total 8 points which is not enough for you to get suspended. My license was suspended in 2010 or 2011 and it said if I didn’t pay the seatbelt ticket it would be suspended for 2 years it’s been almost 4 and they still say my license is suspended. This all happend is Syracuse ny, so what should I do? You should contact the Syracuse City Court and ask them what fines and penalties are due. If the clerk tells you that you have no open tickets you should contact DMV and ask them which court has the hold on your license. I would like to know how I can find out If my license is suspended in new York If I don’t have the address that’s on my license. All I can remember is the town I used to live in. What you can do is contact NYS DMV and give them your name and date of birth – they will be able to tell you if your privileges are valid or suspended. If you recieve 12 points on ur license within a 18 month period how long will the license be suspended? My liscense was suspended for a year,due to DWI.After this period of time,how can I have my liscense restored in N.Y althought my liscense was issued in N.J?Thanks. You should contact NYS DMV at 518-473-5595 and inquire. They will be able to look up your file and tell you what needs to be done to restore your NYS driving privileges. I got stopped yesterday for a speeding ticket in Greece, NY for going 70 in a 55. I have 2 non moving violations that gave me 4 points total, and one moving violation that gave me 3 points with a total of 7. The previous non moving violations where 23 months ago. I would think those wouldn’t matter since its been way over 18 month period since I got those. But for some reason their still on my record. The previous moving violation was less then 13 months ago. I read that in NY going 11-30 over the speed limit is a 4 point violation that would give me 11 points total. Would the other 2 matter at all if I plead guilty to it and if its still possible for my license to get suspended even though it accounts to 11 points? NYS law says 11 points in an 18 month period that wouldn’t make any sense at all. Or should I just plead not guilty and plead to a lesser charge? You are correct – NYS will suspend you for 11 points within an 18 month period and the critical date is the date of violation. So, regardless of when you are convicted, if the tickets were received within 18mo. of each other, that would trigger a suspension. Thank you for the information. As I suspected the suspension was gonna happen regardless. Is their anyway to reduce this speeding ticket at all since it’s the first one I ever gotten? And how long does a 11 point suspension usually last? Thanks again you been very helpful. I was charge with reckless driving in NY I have a CT license Will it be suspended? Unfortunately, we are unable to advise you on CT law since we are not licensed in that state; however, you should contact CT DMV and inquire. I just recieved a speeding ticket. This is my 3rd one, but my last two were more than 18 months ago. Will I lose my license for this? You will automatically lose your license for 3 speeds within 18 mo. (and that 18 months are calculated by the date of infraction). However, if we are able to get that third speeding ticket dismissed or reduced to a non-speeding offense you would no longer suffer that consequence. Hi, I am 17 and have a junior license. I was recently ticketed for speeding in Massachusetts and failed in my attempt to have the charges reduced. Since it is in another state, will my license be suspended? The NY DMV website indicates that NY does not record convictions for other states. Therefore, it appears that an out of state ticket (unless it is a suspension) will not affect your NY license. You should call NY DMV and inquire. Wondering how much all these tickets are going to cost me. I am 17 i have had my license for 9 months exactly. I was driving back from a friends in Newburgh and when taking right on red did not come to a full stop. The officer gave me a ticket for that and it was 12:30 at night so i got the driving out of class and i had two friends in the car so i also got the passenger under 21 ticket.. . I pleaded not guilty because the cop suggested that on the spot. I will pay the crime hopefully though the tickets will be reduced. My main thing is will they take my license away from me? If you hold a junior license and get convicted of one major offense or two minor offenses they will suspend your NYS driving privileges. Therefore, it is critical that the tickets be reduced if possible. Hi Sonny, driving while suspended is a crime with serious consequences. It’s a misdemeanor with a max. fine of $593 and a potential for 30 days in jail. Also, in New York there is no way to expunge or erase a criminal record. We’d be happy to walk you through it. Feel free to call us for a consult. Hi. I just found out my license was suspended on May 28 because of insurance lapse. I moved to Florida in March and left my car in NY With my mother. I took my name of the insurance and put on hers. What I failed to do because I didn’t know was to re-register the car in her name. Got pulled over in Florida and officer took my license. I asked my mom to turn in the plates and everything. The problem that I have now is…I’m out of a license and have no way of getting to work and my commute to work is 1 hour and 15 minutes. They say i won’t get my license back until October 8. My argument to both DMV and geico is that even though my name wasn’t on the insurance my car was still insured. Is there anyway for me to get back my license before October? The only thing I can suggest is request a suspension hearing. I have indian license and I was driving in NYC state and I got one over speeding ticket and one improper passing ticket at same time in both of them I sent them guilty and paid my fines but I relieved my driving license suspension order.why I recieved that and as I don’t have USA driving license do I need to pay that also I am planning to make ct driving license will that get hampered by this. You need to call DMV and ask them why they issued a suspension order. They will advise how to rectify it. I was recently pulled over for a seatbelt violation in Chemung County (trooper had me dead to rights), at that time he also informed me that my driving privlidges in NY were suspended at which that point he put me in cuffs, searched my vehicle yadda yadda. He issued me a ticket for the seatbelt as well as an unlawful operation ticket. After contacting NIagara Falls court, it appears that there was an unanswered speeding ticket from 1993. Now I am currently licensed in the state of PA, shouldn’t have PA picked up on this prior to issuing a license to me? I was told to write a letter to the 93 ticket’s court pleading guilty which I did. Is there any possibility in anyone’s opinion that I will be able to get the Unlawful Operation reduced? They should have picked up on it – but only if NY transmitted it to them, which they may not have (for a variety of reasons). We have taken many AUO3d cases to court to get them reduced. I have received 2 speeding tickets in my 6 month probation period. With the first speeding ticket my license was suspend and then I got a restricted license bc i have a job. The 2nd happened after I was convicted of the first. Will I lost my license and my restricted license? I thought your license had gotten revoked if you have 11 points on your license I have 6 and the now I will have 10. I don’t know what to do if I lose my license. You can end up losing both licenses. Even if you have less than 11 points you can be suspended for being convicted of a serious offense during your probationary period. i have a WA state license and i was illegal alien. Four years ago i have a speeding ticket in NY . Recently i was pulled over in new york by police was arrest for suspended license. It did not show on my out of state license that it was suspended and they wasn’t sure if it was me until they asked if i lived in the particular address in NY and i said yes and then i was arrested. The officer said they don’t understand why it was suspended under my name and not under my license. If i did not tell them i lived in Ny before they won’t be able to know it was me. I found out that the previous ticket was not paid as i was asking a friend to pay it for it me and eventually he didn’t tell me it have to be paid in person. I guess i have be conned. That happens more often than you can imagine. The best advice is to pay your tickets yourself and keep receipts so you have proof of payment. My license was suspended for 107 days due to a lapse in insurance and me not turning in my tags on a sold car timely. The car was sold on 1/8/14 and the insurance was cancelled on 2/2/14. I turned in my tags today, 6/2/14, and showed them proof of when the car was sold. I also showed them the new owner’s proof of insurance and registration in Georgia with the hopes of getting my driving privileges back. The DMV employee gave me a receipt which shows new coverage on a car that I don’t own starting 5/1/14. This reduced my suspension period to 88 days which doesn’t help me as I need to buy a new car now and I’ve already put the deposit down. My concern is that the 5/1/14 date used by the DMV is incorrect and that I’ll still have to wait 88 days even though I showed them that I cancelled the insurance after the car was sold. What are the chances that the suspension will be lifted early, like this week? It’s impossible to say, NY DMV usually has a pretty big backlog but other times suspensions are lifted rather quickly. After job searching for over a year, and on welfare, I found a w2 job and within 3 weeks, my license was suspended and couldn’t get to work here on Long Island. I received a letter stating I owed taxes and my license would be suspended if I didn’t work out a payment plan. The letter also stated that if I had child support obligations, they would NOT suspend, but garnish instead. I sent in my proof that I was making payments showing the Child Support Unit paperwork, and a notarized letter from my ex wife stating she was receiving payments on time. The ignored all the paperwork, and my license was suspended which led to my insurance premium going from $150 a month to $400 a month after I was forced to make a payment plan up with them in order to get my license back. And a loss of my job as well. Ii am disabled and cannot take public transportation. I go to Vesid School for disabled and needed the car for that as well. My life has been turned upside down. I can no longer afford to see my son anymore without the car, nor can I get to 2 jobs a day to provide because of their overlook. Taxation Dept now apologizes for their error, but the damage has been done. Martin, that is a very unfortunate situation which sounds very complex. My license was suspended due to DWI last july in 2013, it was reduced to a traffic infraction. I took several classes yet they’re trying to get me to pay 2400 for another 12 week class. I need to know if I don’t take these classes due to expenses, is there any way I can get my license back, it’s been a year now. The only way to answer your question is to call NY DMV. I had gotten a speeding ticket in NY State and forgot to pay so my CT license where I live was suspended. I paid the ticket but still have not gotten my CT license reinstated. I called the courts and they keep sending me to other places to call. How do i get proof the ticket was paid and why haven’t they contacted CT to have my license reinstated? You can order a Certificate of Disposition from the court and forward it to CT DMV (you might want to call them to make sure you are sending it to the right department). Im being charged with section 509-6 but I think it will be lessened to 509-1 would my license still be suspended even if the charges were lessened to charges that dont result in license suspension? If it was reduced to 509-1 that would not be the basis for a suspended license. I am from upstate NY and i have never had a license before not even a permit. From 2001 to 2005 i have received over 20 traffic tickets like no registration, unlicensed driver, no seat belt etc. I also have 2 no insurance tickets. Today After years of being out of the country i have returned to the states and decided to get my license and of course they are still on file. But the only tickets that DMV have on file are the two no insurance fines for $750 each. But The Traffic Violations Bureau has all the rest of the tickets that i got which add up to about $3000. So here is my question, Can i just pay DMV the 750 i owe them for the no insurance tickets just to get my license and i can work on paying The Traffic Violations Bureau later.? If the suspension stems from the TVB tickets as well, you’d have to answer them in order to be reinstated. In other words, it is possible to have multiple suspensions stemming from multiple sources and you have to clear them ALL in order to get your license back. Hello. I am in a bind. I have 3 points currently on my license for a cell phone violation on 4/22/13. I got a stop sign ticket in March. And now I just received 2 more cell phone violations within a week. I am taking the defensive driving course. I need my license for my job. Do you think the DMV will give me a restricted license? I pleaded not guilty to all charges and have court dates set up. If you have never hard your license suspended before, you very well may qualify for a restricted license. my ex has a suspended license and no insurance on his vehicle and has been driving around with our five year old son in the truck. can I have him arrested for endangering the welfare of a child? That would be in the discretion of the prosecutor. In order to assist you, I need to know what you are being charged with. I was ticketed on route 17 doing 71 in a 55 zone. I have a junior license with no prior violations. DA said I had to check with the DMV to determine what non moving violation I could plead to in order to keep my license and avoid suspension… I have no idea what she was talking about. Why couldn’t th court just fine me for parking on pavement…? As far as we know, pleading to any non-moving violation should not lead to a suspension. Hello , my license was suspended for not paying the tickets but I need my license for work because I don’t have the $3000 that they ask me to pay , if I don’t have a job how can I pay it ? There’s any way I can get a restricted license??? And pay monthly or any other option?? Please thanks.. I am not aware of any payment plans with DMV but you should contact them and inquire. I recently got a DUI in Ct and my truck got totaled. My CT license is suspended until June 26th 2014. I have a driving permit for certain hours / certain days. I need to buy a new vehicle for work but the best price I found is in New Jersey. Can I legally drive through NY and NJ to get this vehicle? Please answer asap as I may do this in a couple days. You need to contact NY and NJ department of motor vehicles to inquire as to whether they cross-honored the suspension imposed by CT.
Cleared my road test and got a speeding ticket on same day. I did not contest this ticket and paid the fine. After a month, my license was suspended for 60 days (for speeding ticket on probation) and was asked to surrender my license to NY DMV. I stay in GA now. It was a definite suspension and I have passed 50 days of suspension. Should I be returning my license back or will I be getting driving privileges back in 10 days to the same license ? I have also paid $50 suspension termination a month ago. You should contact NYS DMV to inquire as to whether or not reinstatement is automatic. This page says, for definite suspension the reinstatement is automatic.. Is that not guaranteed ? Automatic means guaranteed. The difference between a license suspension and a license revocation is that a suspension means a guaranteed restoration of driving privileges at the end of the term (at times a fee is due), a revocation means that restoration of driving privileges is not guaranteed. While driving through a narrow street a truck entered and I slightly scratched a car that was parked. At the exact moment a police car was passing and I stopped them. Told them what happened and gave my license and papers. moments later they told me that I was under arrest because my license was suspended!!!!! I was handcuffed and taken to the precinct like a criminal!! I’ve been under an emotional distress since Monday (3-10-14), cant sleep, cant concentrate on my work. I have to appear in court. License was suspended for insurance lapse. NEVER AWARE OF IT!!! Unfortunately this situation is all too common; we handle situations identical to yours all the time. You should contact us immediately to discuss your options because Aggravated Unlicensed Operation is a serious offense that could lead to significant fines, a permanent criminal record, and/or jail time. Hi, I had a couple minor accidents no one hurt just property damage and a couple dwi’s but all reduced or thrown out.. The motor vehicle is looking at charges not convicitions and they were 29 yrs ago… they are revoking me for life… Is there anything that can be done??? Just bankrupt my busniesses and rentals and move?? or just drive illegal every day???? The law is not fair at all to pull life history!! You should have the right to a revocation hearing where you can make your case before DMV. Can i register my car even with my license being suspended ?? I suggest contacting the DMV with this question. 31 years ago my license was suspended for speeding when I was 18 still on probation .I’m going for the MTA bus driver job and they ask was my license ever suspended , are they going to be able to see that it was? Hi, you’ll have to contact the DMV to find out if that suspension is still on your record. I have just been indicted for driving with a suspended. What is the consequence for this is there any jail time involved for this or perhaps a fine? You would only be indicted if you were charged with a felony. If you mean that you were “charged” with driving while suspended or Aggravated Unlicensed Operation, the fines and amount of jail time vary depending on the degree. I received a speeding ticket over 2 years ago. I did not receive any information about a court date and therefore forgot about it completely. It was only after I applied for life insurance that I was informed my license was suspended. Now I am nervous that this will cost me an enormous amount (which I don’t have) and put a permanent stain on my record (which is clean). I need my car to get to work and to drop my children off at school/daycare. Not only that, if you get caught driving on a suspended license you could be charged with a crime called Aggravated Unlicensed Operation which is a misdemeanor. I am 17 years old. last May I had my lisence suspended for 60 days due to two speeding tickets I had gotten in November of 2012. today I got a ticket for failure to yield right of way. could dmv suspend my lisence again for just this one offence. I also still have a junior lisence. Can another state (Ct) suspend my NY license for answering a speeding ticket too late? That is a good question. The answer is no, another state cannot suspend your out-of-state license, but they can suspend your privilege to operate a motor vehicle within that state. Also, if that state has a reciprocal agreement with your home state, your home state may suspend your license based on their decision. Please call our office for more information at 888-883-5529. I got a ticket in new york for myself, and a child ( 3 poit) seat belts. The ticket reads ” – – – – but in addition your licnse to drive a motor vehicle —- and registration – – – – subject to suspension and revocation ” in bold print. I have no other violations on my record. Are they really going to suspend my licnse over seatbelts ? Your license will not get suspended if you only have a seat belt ticket on your driving record. Just make sure that you plead guilt or not guilt on time. If you fail to respond to your ticket, your license can get suspended. Quick question, so i got a speeding ticket (25 over) in may 2013, and back when i had a junior license and did go to court, i forgot if i had it reduced or not, and got my license suspended for 60 days also, then i got caught driving after 9 with a restricted license and i got my license back in feb 14 and i just got a speeding ticket yesterday going 24 over (6 points) you think im going to get suspended or not? How many points do you currently have on your license? I already got 5points using celphione, and lastw week got a speeding driving 90 to 65mph. Is my license wil be suspended? What should I do? If you are found guilty, your license will be suspended. I strongly suggest you fight this ticket. My licensed was revoked for receiving 3 speeding within an 18 month period. Would there be a point in hiring a lawyer to fight it or just take the punishment? Are any of your speeding tickets still pending a court date? How long is your license suspended for? Please contact our firm for a free consultation at 888-883-5529. For more information on a suspended license in New York visit this site.